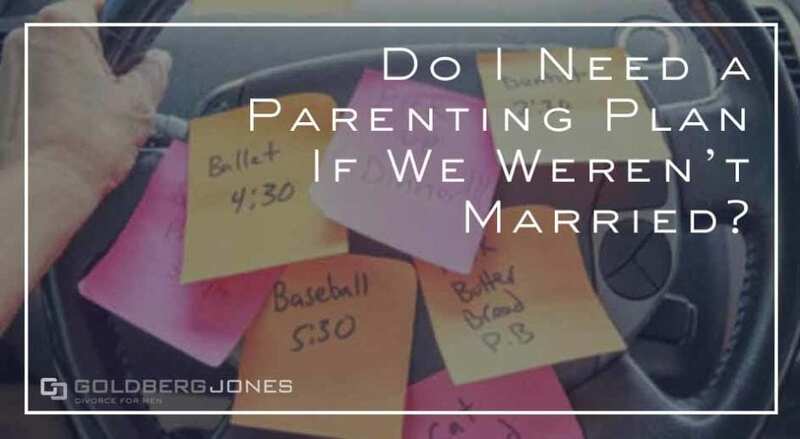 Do I Need a Parenting Plan If We Weren’t Married? Custody battles are a common part of divorce. When parents split, a document called a parenting plan lays out where a child lives, which parent has decision-making powers, financial obligations, and much more. But what if you were never married? Do you still need a parenting plan? Our founding partner, Rick Jones, makes regular appearances on the Danny Bonaduce and Sarah Morning Show. He answers listener questions and on a recent spot, one caller had this very topic on his mind. Does he need a parenting plan if he and his child’s mother never actually married? *A Declaration of Parentage is the document unmarried parents must sign that legally establishes who a child’s parents are. For more caller questions from our Life Coach series w/ Danny Bonaduce go here.